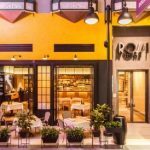 Bringing rustic Italian cuisine to the heart of Cotai, the newly launched Rossi Trattoria is the latest unique culinary attraction at Studio City, Macau. 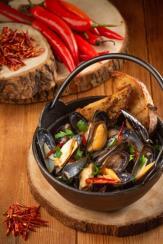 Helmed by young and talented Italian chef Rodolfo Serritelli, the restaurant is Macau’s most authentic country-style Italian trattoria, serving up simple and delicious fare prepared with the freshest traditional ingredients in a warm and friendly setting, making it the perfect place to share good food with family and friends. 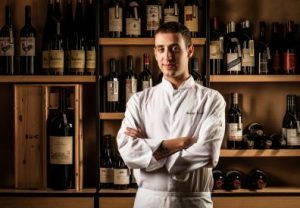 A second-generation Italian chef, Serritelli was inspired by his family’s love for food from a young age. His father – who he credits as being his mentor – was the master chef at the cooking school in his hometown of Senigallia, a port town on Italy’s Adriatic coast, while his aunt and grandmother have also been a big influence on his approach to cooking. His apprenticeship at Gordon Ramsay at Castel Monastero in Italy opened his eyes to the wonders that a great chef can create, and from there he went on to learn his trade in the kitchens of hotels in Houston, Texas and Berlin, Germany before returning to his hometown to perfect the techniques of traditional Italian cooking as a tutor in the cooking school of Senigalia. As Chef de Cuisine of Rossi Trattoria, Serritelli serves up family-style rustic Italian food free of gimmicks or garnishes. You certainly won’t find Caesar salad on this menu! Instead, Chef Serritelli focuses on the best fresh ingredients from Italy prepared simply and authentically with no more than three main ingredients on each plate, as well as secret recipes passed down from his family. His original Roman-style pizza, for example, uses slow-fermentation dough that is cooked to a light and crispy consistency to offer the perfect bite, while much-loved family recipes include his grandmother’s delicious meatballs, a hearty tagliolini-based midnight snack and a classic tiramisu from his aunt. Also not to be missed is the chef’sfresh homemade pasta with its distinctive soft and chewy texture.